Minipedia is a fast and simple way to access Wikipedia® articles using your iPhone or iPad without a network connection. Requires iOS 10.0 or later. Compatible with iPhone, iPad, and iPod touch. This app is optimized for iPhone 8. Offline access to Wikipedia, the world's largest encyclopedia! With more than 500,000 downloads worldwide and a cumulative rating of 4.25 stars, Minipedia has been praised by critics and users alike. We are very proud of Minipedia for iOS and Android, and we invite everyone to download this highly rated, free reference app. Minipedia works offline and provides access to complete articles, formulas and tables! 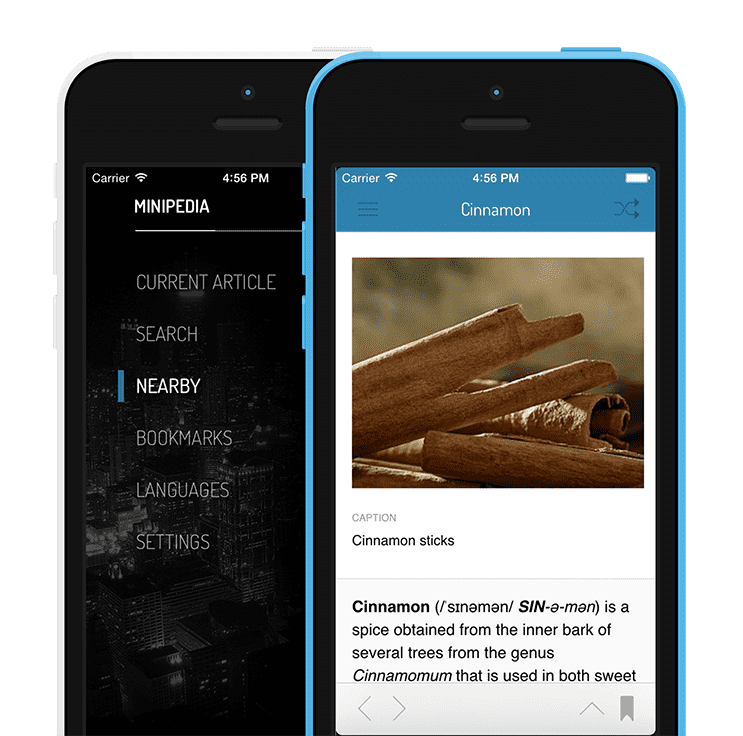 Minipedia contains the most popular articles of the Wikipedia encyclopedia, saving precious space on your mobile devices. Minipedia offers even more to enhance your browsing experience. View pictures while you're online! Our picture viewer allows you to browse through all images of the article easily. Unfortunately, minipedia does not support offline images - their size would quickly exceed the storage on your mobile phone or tablet. Keep a list of your favorite articles in alphabetical order. Minipedia's intelligent search returns results that don't only begin with, but also contain your search term. For example, a search for "Mark" on Wikipedia returns "Marketing" as the first item in the drop-down results list. A search for "Mark" on Minipedia returns "Mark Zuckerberg" as the top result, with it being the more popular article. Searches often end before the entire word has been entered. Even though not sorted alphabetically, minipedia makes it easy to find the desired article by highlighting the entered search term within the results. Very few Wiki Readers have the capability of correctly displaying math formulas - minipedia is one of them. This feature can also be a great time saver, as users can quickly extract the necessary information from the table, rather than reading the article. Minipedia can render complex math formulas, which make it a perfect companion for your studys. We're working hard to give you the best Wikipedia Offline experience. Want to say thank you? Please rate us on the AppStore! Copyright 2015 Minipedia UG (haftungsbeschränkt). All rights reserved.